So, we know that about 7 out of 10 of your ecommerce customers bail at checkout. 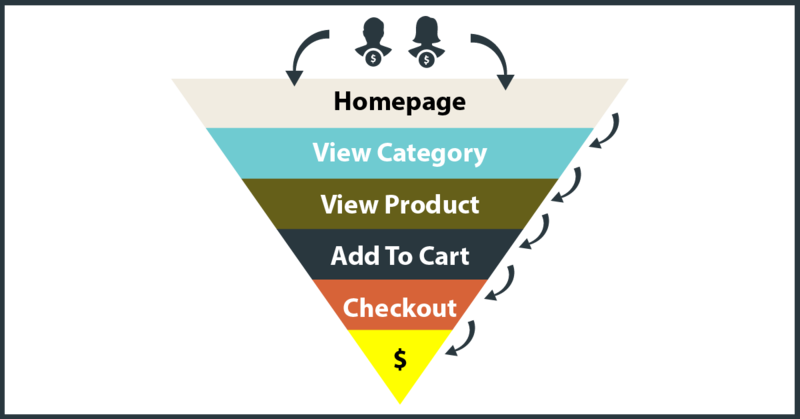 And while there are a several ways to optimize the checkout process to bring more of those customers through conversion, there is another group of potential customers you may not have considered as deeply as you probably should: those who bounce away from your website before they even get to checkout—in other words, people who leave after doing a little window shopping. Is there any way to gather some of these potential customers back? Actually, yes, there is—browse abandonment emails. These take a little finesse and delicacy to get the best results, but CartStack has a new feature that helps you automate this process so you can reclaim more conversions from this group of shoppers in your ecommerce funnel. By skillfully contacting seemingly casual window shoppers after they leave your website, it is possible to convert anywhere between 3 to 7 percent of these onlookers into paying customers. That may not seem huge, it adds up to a hefty chunk of bottom line in a competitive ecommerce environment where every percentage point accounts for thousands of dollars. The process of creating successful browse abandonment emails forces you to focus higher up on the ecommerce sales funnel—and that’s a good thing for sales overall. You need more granular detail and a deeper understanding of your website visitors so you can fine-tune your marketing efforts at all levels. This boosts conversions all around your website. In this case, browse abandonment emails help you target people who came, saw, but didn’t conquer the cart. These shoppers are higher up in the funnel—a larger group of people who were interested enough to look around at some product pages. They didn’t put anything in the cart before they left, but they were curious enough that a percentage of those potential customers might benefit from a friendly browse abandonment email reminding them of the fun time they had on your website. But to make these emails convert, you’ll have to do it carefully. Try slide-ins instead of pop-ups: They are less jarring than pop-ups and enjoy a better subscription rate. Always invite subscription at the end of content, or at least after they’ve read about 80% of the content. Use a sticky top bar or a consistent sidebar that stays visible and invites subscriptions without blocking your visitors access to the content they want to look at. Use a loss aversion model to encourage email subscriptions. Example: your slide-in, sidebar or sticky top bar can offer new visitors a special discount they’ll lose if they don’t subscribe now. Make subscription a membership that comes with special perks. People love the feeling of exclusivity that comes with a membership and are more eager to hand over their email addresses, which you can then intelligently deploy for your browse abandonment emails. 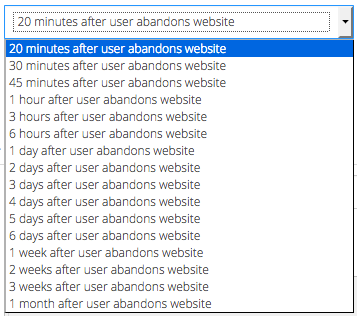 Best of all, you can use these emails for more than just browse abandonment. You can fine-tune your marketing efforts to optimize each subscriber’s customer lifetime value in a host of ways over many, many years. Send the first email no less than an hour after they bounce away. Send only one abandonment email in a 48-hour period. If your target customer does not respond to the first two attempts, consider a different tactic like a newsletter or other promotional email. Don’t send a browse abandonment email if the person actually bought something—tailor a post-purchase-thank-you email for them. If someone comes back and purchases as a result of your abandonment email campaign, send a thank you email, suggesting carefully-curated related products to check out. CartStack’s browse abandonment email feature gives you the option of setting up triggers and rules dictating the timing of emails so they neither overwhelm nor miss the window of interest for your target audience. Did they visit the same product page more than once? That indicates they were seriously considering the product. A helpful reminder might seal the deal. Did they browse several different products in a similar category? (e.g. camera equipment, camping gear, designer socks, etc.) If so, they are probably comparison shopping for something they really want. 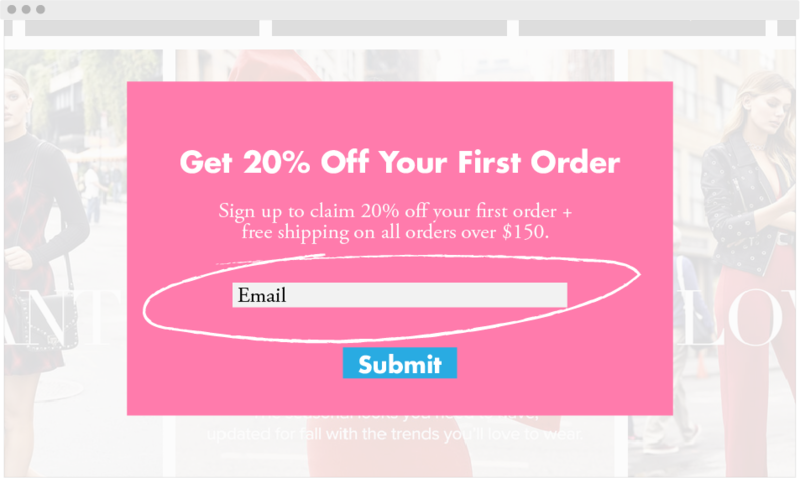 Did they come to your product page from another email marketing effort you sent? That click-through is a significant indicator of interest. Did they use the search feature on your website to look for a particular product or category? Search indicates significant interest and gives you some helpful search keyword information. Examining session replays can give you insights to help you decide what kind of targeted browse abandonment email would be most successful for each segment of your browsing audience. Try some A/B testing on different abandonment email designs so you can nail down the tactics that work best for your target customers. 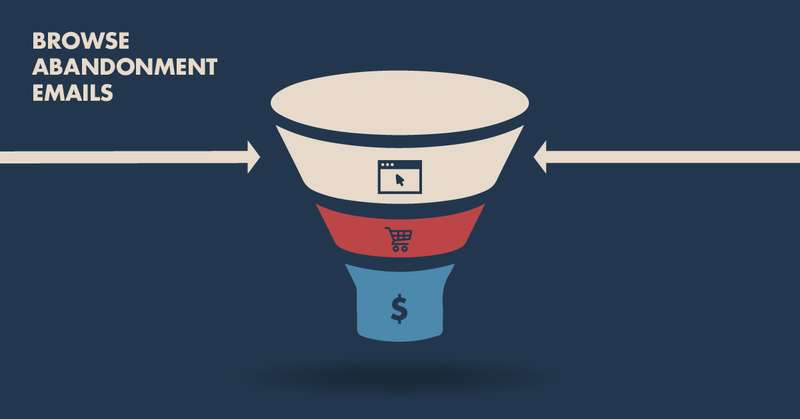 The bottom line: the more you understand your website visitors, the more you’ll be able to convert them, even higher up in the sales funnel, even if they bounce away temporarily. A clever browse abandonment email can bring them back. Get started today with a CartStack Browse Abandonment email campaign. It’s free for 30 days, includes free custom email graphic design & you’re guaranteed to recover a minimum of $1,000. Get started here!